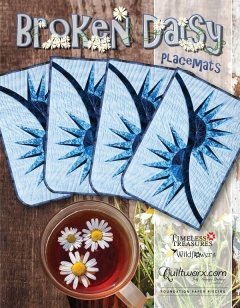 Broken Daisy, designed by Brad and Judy Niemeyer. From the Placemat Series. 14" X 17". A sewing technique called foundation paper piecing is used to assemble the units. Curved piecing is used to join the units after the foundation piecing is completed.